The 2 courses we had were delicious and plentiful and I thought the deal was very good value. Minestrone and mussels for starters, meat pizza and salmon & prawns with lots of veg. for mains. I would go back anytime to try other dishes. 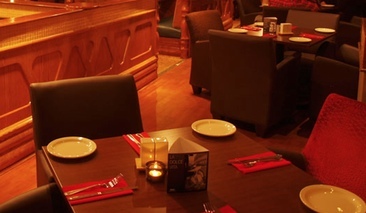 Smart restaurant with Italian decor, lovely atmosphere and pleasant staff. We additionally bought soft drinks and ice cream, they were reasonably priced too.